Gadgets are embeddable elements that can be tools, devices, games, or portals. Google provides the a suite of useful gadgets related to Google Apps such as Calendar, Forms, Picasa Photos, Text Boxes, etc. However, have you ever delved into the "more gadgets" option of your "insert" tab? There's some great stuff, let's review. These gadgets are wonderful for implementing e-commerce on your website. Really, there are two options with Google Checkout, there's a little button for one-item purchasing and a whole store with cart option. I have not tried out Paypal's Simple Storefront, but I can only assume they went with "simple" because it's straightforward. Paypal is like the industry standard for online shopping, ever since E-bay, Paypal has been the pioneer of safe shopping. Google Checkout is still rather obscure, but equally effective for credit card transactions. 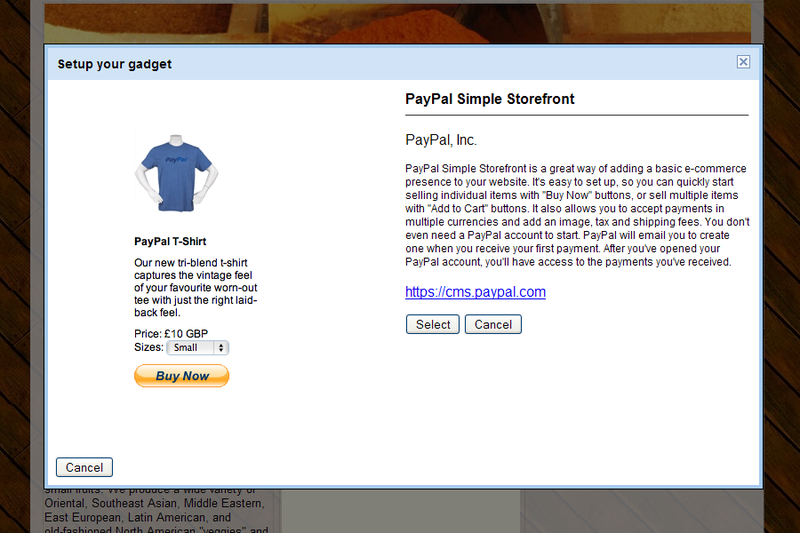 Try Ecommerce with Paypal, You are credible in no time. This a new gadget that showed up in the "featured" category not to long ago. It is quick and easy for people to leave feedback, question, comments, suggestions on your website using their Google Account. I know I've seen demand for this type of a gadget time and again from the Google Sites Help Forum. 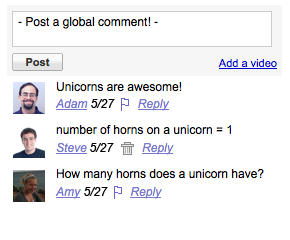 I had tried the Google Moderator gadget before this and found it too unmanageable. Very Nice, not bulky at all and easy to use. I'm plum out of time to explore more gadgets right now. Hope this helps you add some nice elements to your website. I've been following your blog and tutorials for a while now and I think you're doing some great work. You thanked "all 9" of your followers in a post recently, but with quality content that is incredibly helpful like this site has- I can see your readership ballooning quickly. Keep up the good work. Gee Sasquatch you really are a hero! Thank you for the kind words of support. Blog has been running for some 3 months and I do hope it grows. I agree with SasquatchHero, this website will grow VERY quickly, only a matter of time. Do you know of any "review" gadget for google sites that I could use? i like ur picture demo teaching. I have not used gadgets before but i will use them now for my coming web design projects.